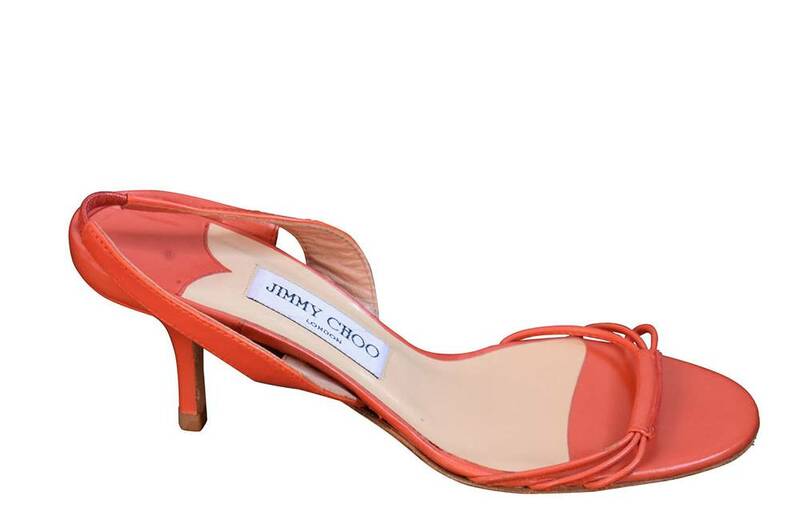 Jimmy Choo coral leather slingback sandal. 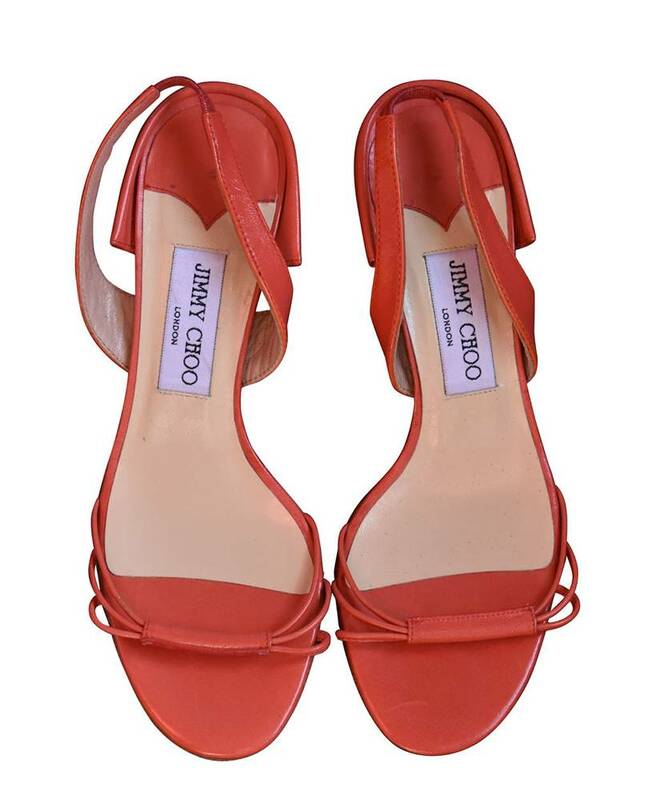 Simple strap detail. 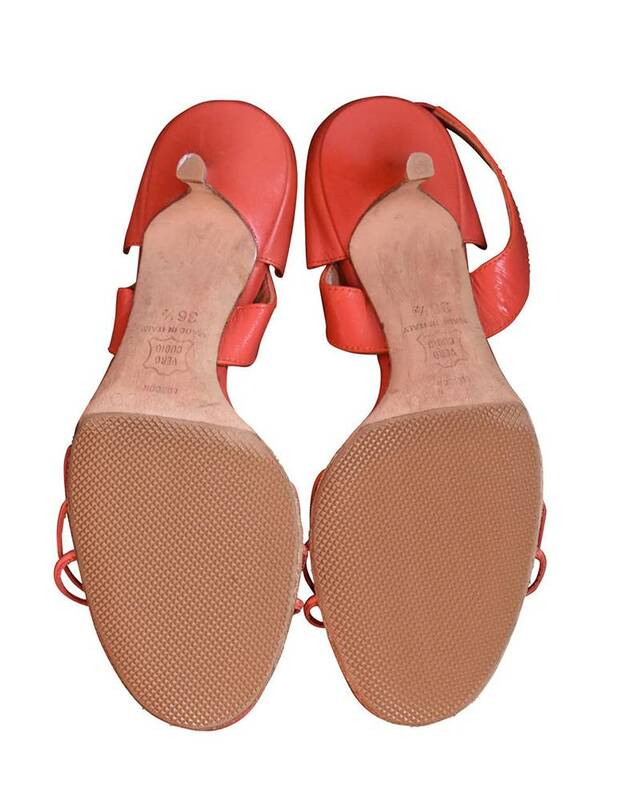 These shoes have been re-heeled and re-soled. Covered heels.